The first thing you notice about the three-acre Wellsprings Village community in Southwest Houston is its peacefulness, broken only by the sound of birds and bullfrogs in the nearby bayou. It’s an appropriate locale for the protected family-style homes that offer safety and refuge to their residents, whose lives generally have been anything but peaceful. Founded in 1988 to aid homeless and abused women, Wellsprings Village is a nonprofit charitable organization that has assisted hundreds of women by offering a safe environment, counseling services, and career-sponsored workshops. 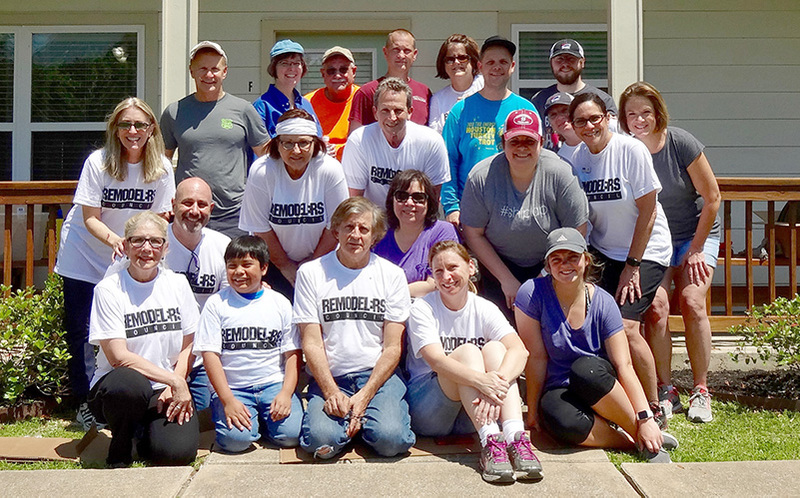 On Saturday, April 28, 2018, the Greater Houston Builders Association’s Remodelers Council worked to improve the facility – and the lives of these women. 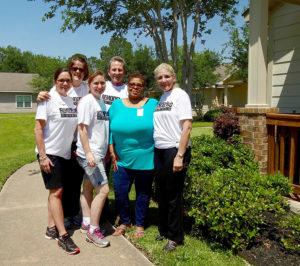 Led by Sandra Crook of Greymark Construction, Melanie Heinrich with TriFection Remodeling & Construction, and Sherry Pruitt of Whodid It Designs, the council painted the exterior of six homes previously built by HomeAid Houston. The crew also added new gutters to prevent water damage, repaired roofs, replaced mirrors and vanity lights, added overhead lighting, replaced the trim on windows and doors, installed six dishwashers and two refrigerators, and landscaped the area. Sponsors and vendors donating materials and services to the 2018 charity renovations include: A-Plus Glass, Abbott Construction, Absolute Glass, Arauz Gutters, Bluewave Plumbing, Ferguson Bath, Kitchen & Lighting Gallery, Image Electric, Vick Construction & Remodeling, McCoy’s Building Supply, Red Dog Dumpster, Richard Alan & Associates, Rooftec, Sherwin-Williams, SHR Remodeling & Repair, TriFection Remodeling and Construction, Ty Tipton and Western Pacific. And a special thank you to Stephen Twarowski and Larry Abbott who donated time and labor to do the carpentry work. Wellsprings Village is the latest charity project undertaken by the award-winning GHBA Remodelers Council. Previous renovation projects have included Santa Maria Hostel for homeless female veterans, Open Door Mission, Casa de Esperanza, SIRE Therapeutic Equestrian Center, Family Time Crisis Center, Epiphany Community Health Outreach Services, and the Sonrise Shelter.